Hi I’m Anna Marsh – I recently wrote a blog for ‘International Day of the Midwife‘ about my experience studying Midwifery at Coventry University. On the 10th May, the Coventry University Midwifery Society hosted their first ever ‘Study Day’ on the subject of Down’s Syndrome Awareness. 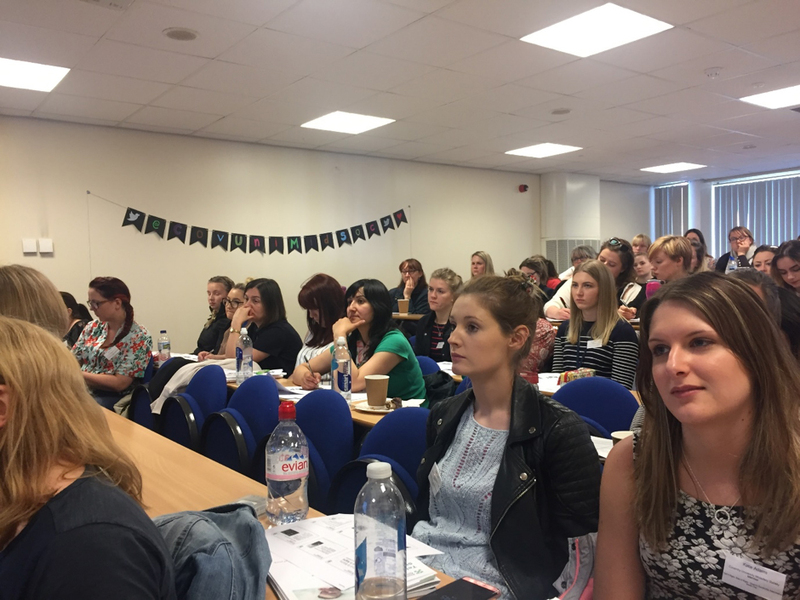 Attended by everyone from aspiring and qualified nurses and midwives, to even the Deputy Head of Midwifery from UHCW, the day was aimed at all healthcare professionals interested in the field. Just short of 50 people came along to learn about the disorder and what life with that extra chromosome really is all about. The day was delivered by the Down’s Syndrome Association – a charity which aims to help people with Down’s Syndrome live full and rewarding lives. With prestigious Royal College of Midwives Accreditation, our high hopes of an informative, insightful and captivating day were well and truly met. 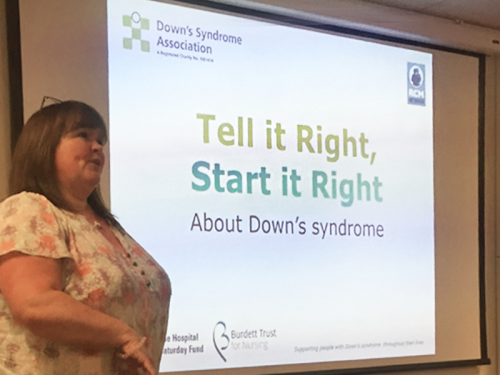 After hearing about Down’s Syndrome itself and how we as healthcare practitioners can support families after a diagnosis, parents of children with the syndrome gave moving, heartfelt recollections of their experiences. We were even joined by a tiny two year old with Down’s who had us all under her spell with her cheeky smile. From developing our knowledge of the syndrome as well as hearing the invaluable accounts from families, we learnt the importance of language and our role as healthcare professionals. After the day, many people said they’d feel more confident caring for a family who have had a diagnosis and everyone really enjoyed the day. 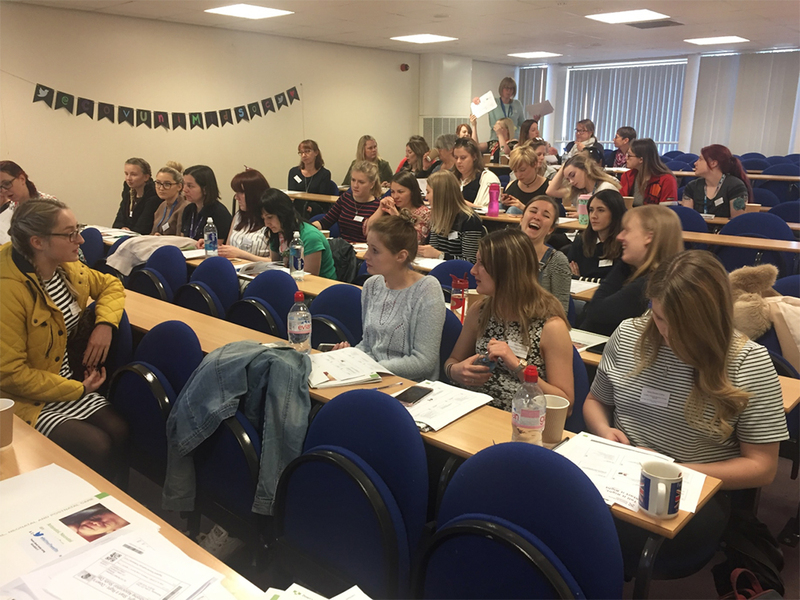 By organising the event, the Midwifery Society and its committee have had the opportunity to learn and demonstrate fundamental organisational skills. As well as this, all those who attended broadened their learning and received a certificate to put in their professional portfolios and support their employability. 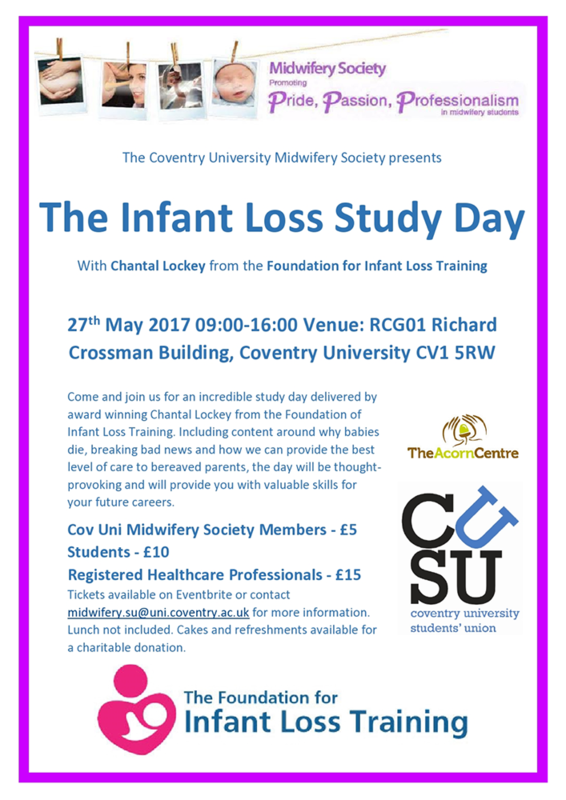 On May 27th, Coventry University Midwifery Society will be hosting our next study day about infant loss from the ‘Foundation for Infant Loss Training’. For any enquiries or to purchase a ticket to come along, please contact midwifery.su@uni.coventry.ac.uk or catch us on Eventbrite. If you can see yourself studying something incredible like Midwifery, come along to an Open Day at Coventry University and see for yourself how you will gain the skills to start your career. ← Catch the East Winds Film Festival While You Can!